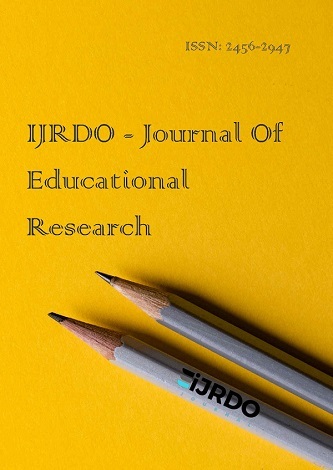 IJRDO Journal provides a wide range of journals in broad fields of research like engineering, medical, science, technology, management, health science, environment and much more. 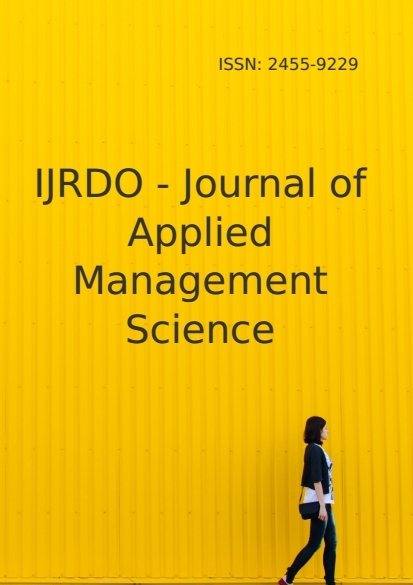 Our aim is to provide the best platform for the researcher to publish their work with transparency and integrity with the open-access model. 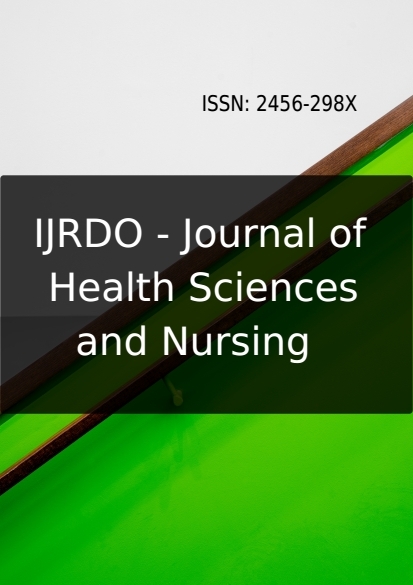 NOTE: Before submission of the article please select the respective journal and register new user or submit article with existing user name. 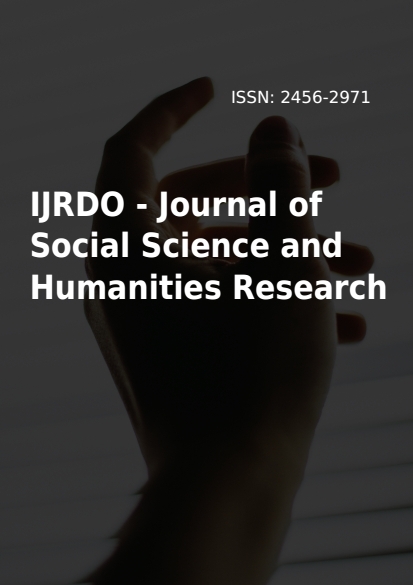 Some of the major topic includes(but not limited to) are Anthropology, Archaeology, Business Management, Business studies, Communication studies, Corporate Governance, Corporate organization, Criminology, Cross cultural, studies, Demography, Development Studies, Economics, Education, Educational Research, English, Literature, Entrepreneurship, ethics, General History, Geography, History, Human, human Tribes, Industrial relations, Information Science, International relations, International studies, Law, Legal Management, Library Science, Linguistics, literature, Local Languages, Market Management, Media studies, Music, Operational Management. 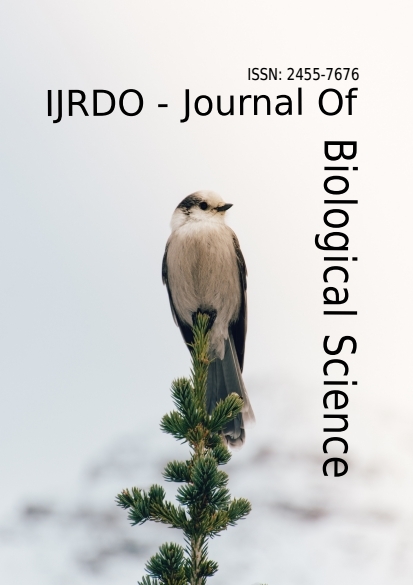 IJRDO Journal of Biological Sciences is a peer-reviewed and open access journal dedicated to publish and disseminate the high quality scientific research work in the broad field of biological sciences. 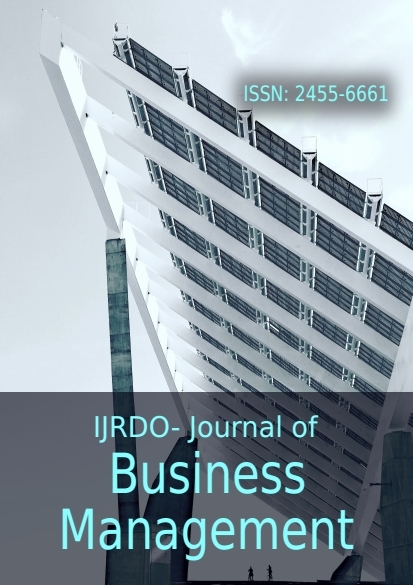 Scope of the journal includes: Cell biology, developmental biology, structural biology, microbiology, molecular biology & genetics, biochemistry, biotechnology, biodiversity, entomology, toxicology, ecology, freshwater biology, marine biology, environmental Biology, plant biology, Ethno-medicines and bioinformatics. 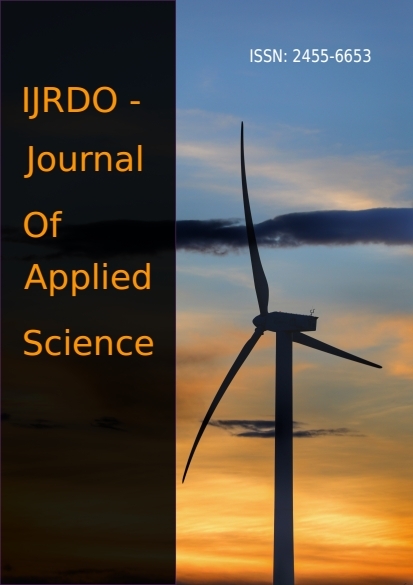 The journal publishes original papers within the broad field of civil & mechanical engineering which include, but are not limited to: Coastal and Harbor Engineering, Architecture and Construction Engineering, Environmental Engineering, Materials Engineering, Structural Engineering, Water and Sanitary Engineering, Transportation Engineering, Surveying and Geodesy. 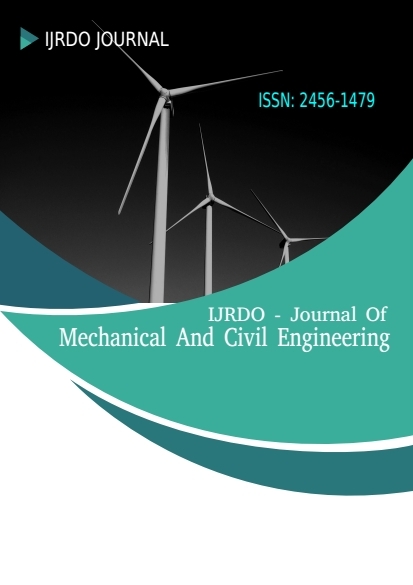 Construction Management, Geo-technical Engineering, Highway Engineering, Information Technology, Nuclear Power Engineering, Railroad Engineering, Structural Engineering, Surveying and Geo-Spatial Engineering, Tunnel Engineering, Water Engineering. 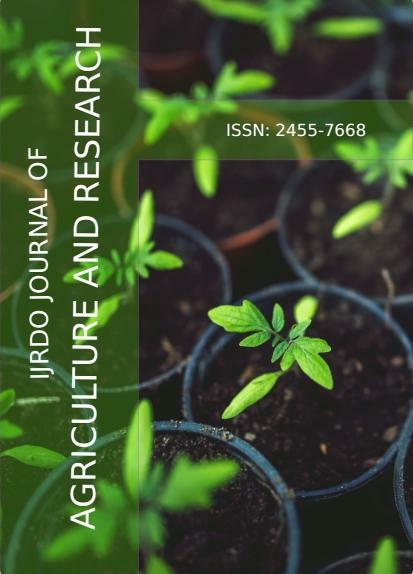 The scope of IJRDO Journal of Agriculture & Research not limited to the following subject areas: Agronomy, Entomology, Horticulture, Plant pathology, Plant Science, Fertilizers and pesticides, Genetic Engineering & plant breeding, Animal scienceVeterinary Science, Aquaculture/Fisheries, Agricultural Engineering, Agricultural machinery, Post Harvest and Quality, Agricultural development, Agricultural Economics, Rural development, Sustainable Agriculture, Organic agriculture, Soil Conservation, Soil Science, Rainwater harvesting and crop water management, Crop Genetics & Breeding, Tillage & Cultivation Agricultural products – Raw Materials, Foods, Fibers, Fuels, Irrigation, Soil & Fertilization. 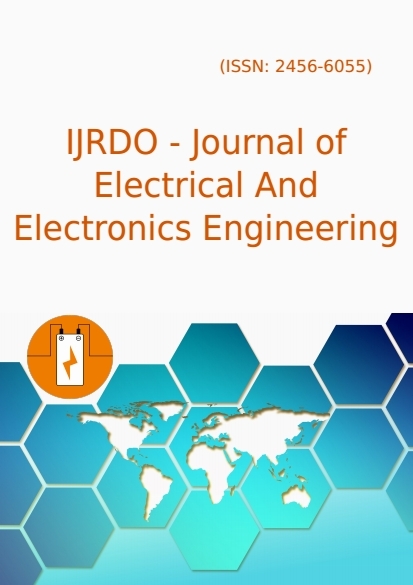 The IJRDO Journal of Electrical and Electronic Engineering is a scholarly international journal that publishes original research papers in the fields of Electrical and Electronic Engineering and in related disciplines. Areas included (but not limited to) are electronics and communications engineering, electric energy, automation, control and instrumentation, computer and information technology, and the electrical engineering aspects of building services and aerospace engineering. Academic Advising and Counselling, Adult Education, Art Education, Business Education, Counsellor Education, Cross-disciplinary Areas of Education, Curriculum, Research and Development, Distance Education, Early Childhood Education, Education Policy and Leadership, Educational Administration, Educational Foundations, Educational Measurement and Evaluation, Educational Psychology, Educational Technology, Elementary Education, Experimental Education. 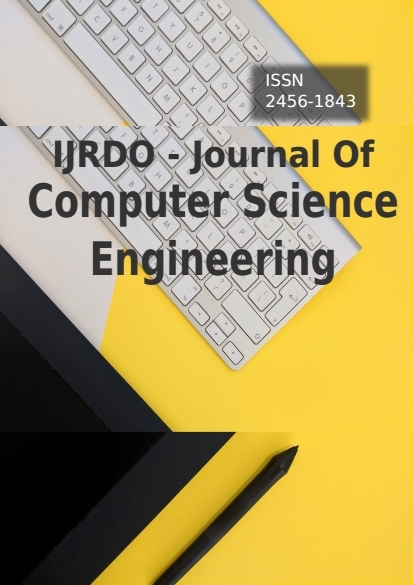 Subjects covered in Computer Science and Engineering include: Computer Science; Scientific Computing; Wireless Networking; Network Modelling; Computational Science & Engineering; Theoretical Computer Science; Biosystems Engineering; Machine Learning; Systems Biology & Bioinformatics; Biostatistics; Data Mining; Data Analysis; Internet Computing & Web Services; Information System Engineering; Quantum Computing; Nano Computing; Soft Computing; Artificial Intelligence; Digital Signal Processing, Cloud Computing; Robotics; Computer Graphics; Information Science; Medical Image Computing; Natural language Processing; Evolutionary Computation. , Accounting, Advertising Management, Business & Economics, Business Ethics, Business Intelligence, Business Information Systems, Business Law, Business Performance Management, Business Statistics, Change Management, Communications Management, Comparative Economic Systems, Consumer Behavior, Corporate Finance and Governance, Corporate Governance, Cost Management, Decision Sciences, Development Planning and Policy, Economic Development, Economic Methodology, Economic Policy, Economic System etc. 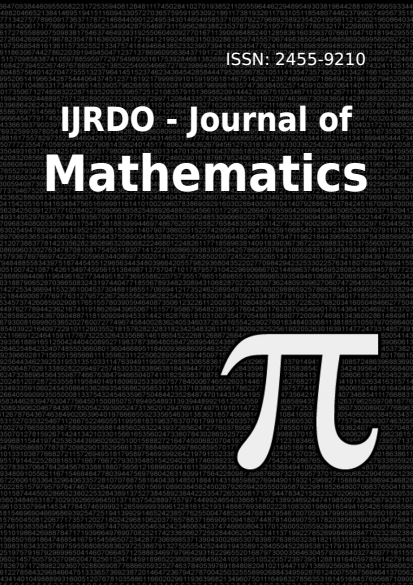 The IJRDO Journal of Mathematics is a an open access journal which publishes research articles, reviews, case studies, guest edited thematic issues and short communications/letters in all areas of mathematics, applied mathematics, applied commutative algebra and algebraic geometry, mathematical biology, physics and engineering, theoretical bioinformatics, experimental mathematics etc.